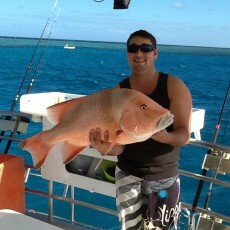 Experience Reef fishing at it’s Best. 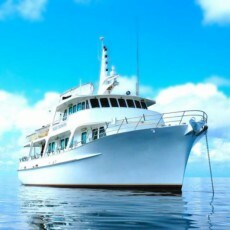 Come aboard the luxurious “MV Night Crossing” for a 6 or 7 day Live-aboard Offshore Reef Fishing Charter. Departs from Gladstone Marina Qld every Friday afternoon. Enjoy the remoteness of the Swain Reefs -Travel 120 nautical miles off shore overnight and then arrive to fish the outer Great Barrier Reef from one of our 6 custom built fishing dories. You take your catch home, processed, bagged and snap frozen. eg. 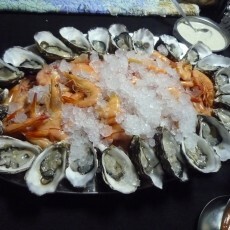 Coral Trout, Red Throat Emperor and more Ready to cook. The spacious ship “MV Night Crossing” accommodates up to 18 guests only in air conditioned comfort. 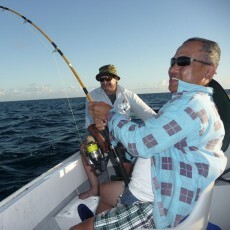 She has 5 experienced crew on board providing quality service, meals and fishing knowledge to her guests at all times.